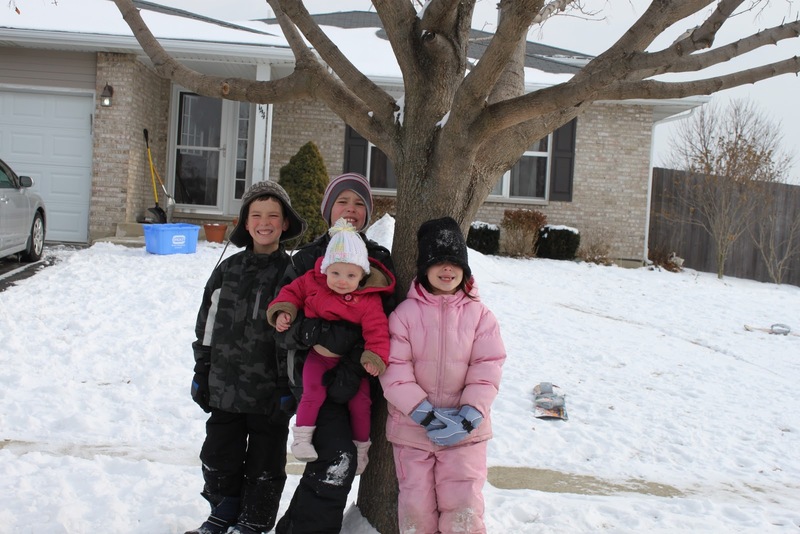 I am planning to take one photo a week of my kids standing in front of the same tree. I don’t try to make them pose or wear matching outfits. You can see they have been working on their snow hill this morning.